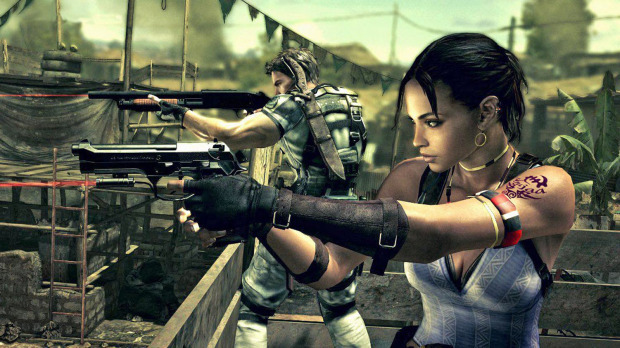 ResidentDante: Chris, Sheva and Fifty?! Something under water is lurking this month, I think it’s Bioshock 2! Man, my preorder has been postponed to next week ffs :( At least I have some other games to play meanwhile! Since my last post I have finished Resident Evil 5 and 50 Cent: Blood on the sand(!). 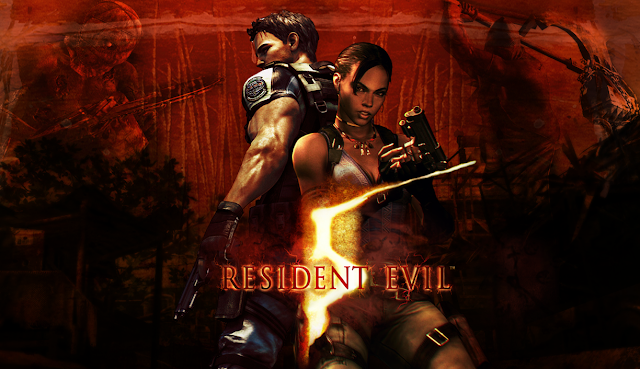 Let’s get everybody scared with RE5 first then, or will we?! Like I mentioned the last time, my first impression of RE5 (being the demo on Xbox Live) was a big amount of frustration. 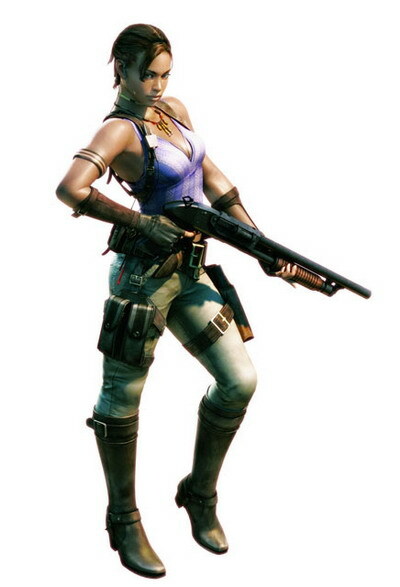 I hated the fact that you couldn't move while firing a gun. It simply felt so restricted and annoying that I actually swore never to play this game. While this control issue may have been excused for RE4 (I still found it annoying there) for a so modern game like RE5 to have this limitation seems out of place and very dated. However, after playing the game for a while I got used to it. 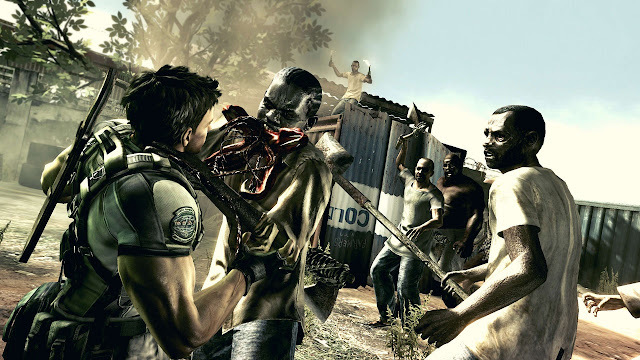 The environments for RE5 may be quite obscure for RE fans, but I actually liked them. Africa gives a lot of variation and a more nature-focused environment. The level design is more consistent than RE4 in my eyes. It doesn't exactly hurt that the environments look awesome too, the graphics engine is very good. 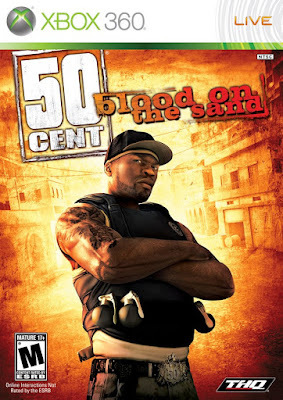 Over to something completely different: 50 Cent and his “Blood in the sand” game. I had no expectations for this game whatsoever, and therefore it delivered an unexpected, amusing and action packed experience. I played it coop over live with a friend for the sheer fun of it, and man we did have a lot of laughs. 50 cent shouts out endless abuse as he guns down literally hundreds of terrorists in an unnamed middle east country after not receiving his payment for a concert (yeah, awesome and really compelling story ain't it?!). Being an Unreal Engine 3 game (what isn't this generation?!) it controls and plays like Gears of War. With covering and over-the-shoulder 3rd person view. It all runs smoothly and looks good to. You can upgrade guns and buy more abusing taunts by collecting crates of “bling”. 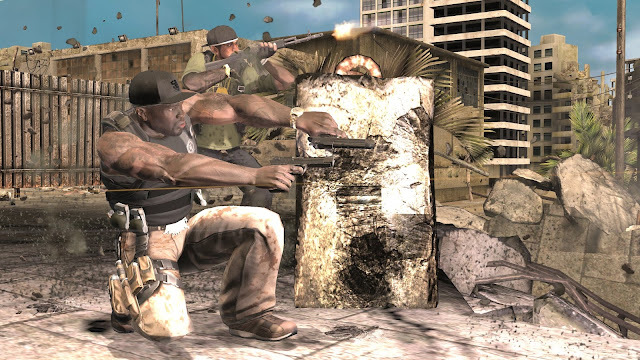 It may all sound like a stupid idea, but with smooth gameplay like this, lots of guns and coop, it’s worth a pick-up from a bargain bin in your local store if you enjoyed the Gears of War games and Army of Two. 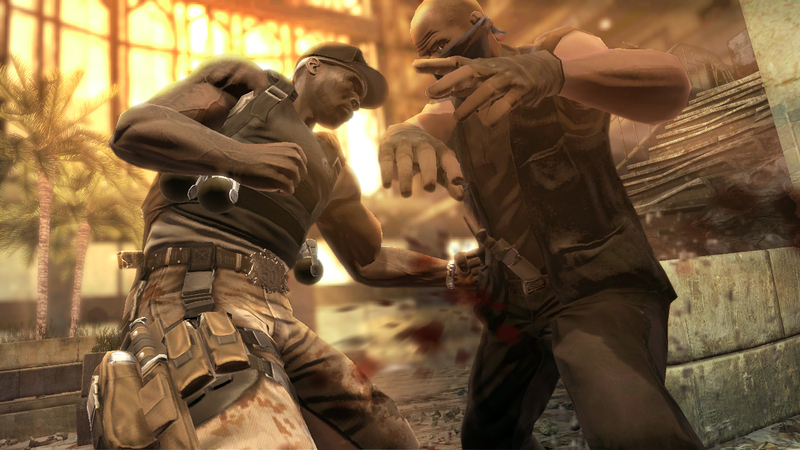 Think it’s time to end this post, still playing MW2 online, and I’m enjoying a playthrough of Army of Two: 40th day splitscreen on PS3 with a friend. Got a feeling I have to get back to Forza Motorsport 3 soon though, that game is sp huge I need to play it in batches! Next time I hopefully will have Bioshock 2, which I probably will have quite a bit to say about. See you around!